I know, I know!! So sorry to use that C-word in October, but I have two very good reasons to do so…. read on! 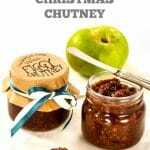 Firstly, this Figgy Christmas Chutney is designed to be given as a Christmas present, and therefore needs to be ready to eat in 9 weeks time, (arghh!). Chutney needs at least a month to mature, for the vinegar-y flavour to completely mellow, (many months make it even better!). 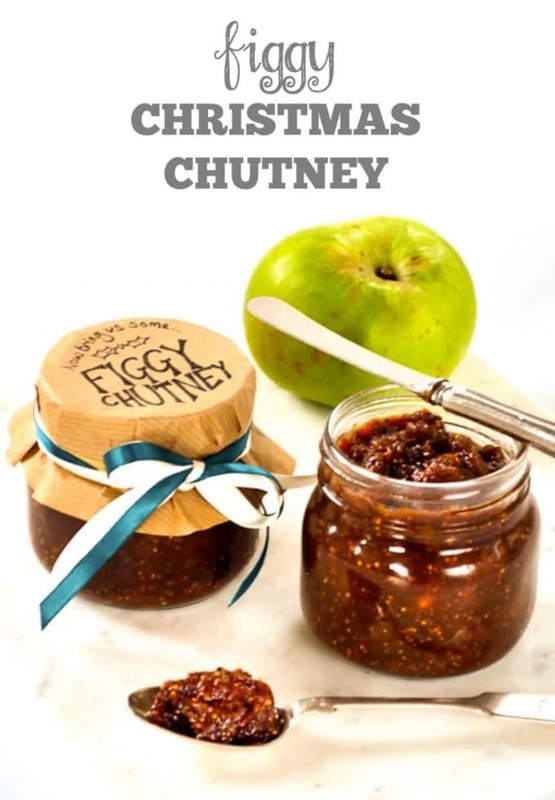 So now is the time to dig out your biggest saucepan, find some figs and get this chutney on the go in readiness for that Christmas cheeseboard. 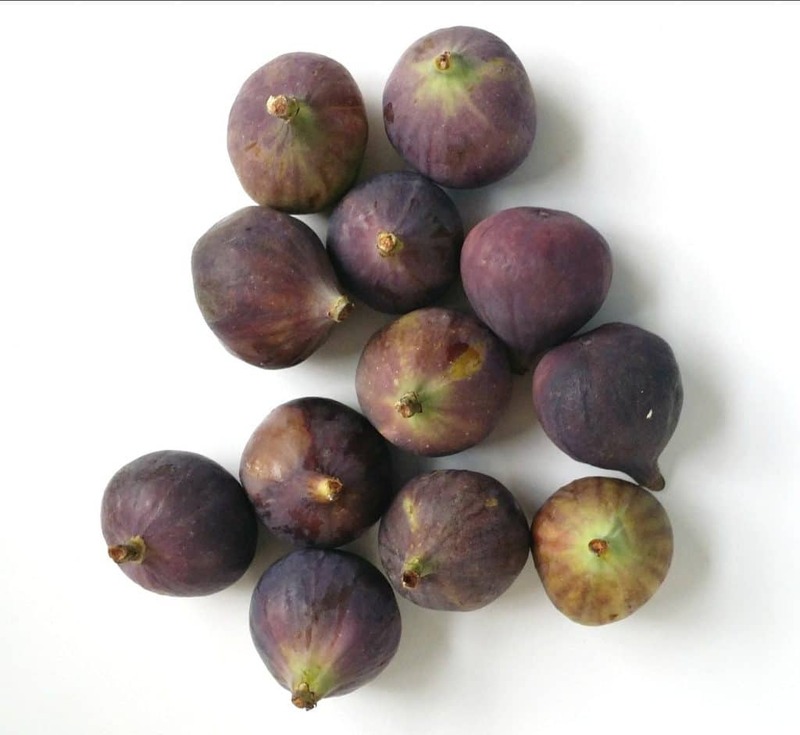 Secondly, figs are as cheap as chips at the moment – mine were 4 for 59p from Aldi! Just to put that in context… I needed one fig for this baguette post back in August and paid a whopping £2.60 for a pack of 4, (ableit from Waitrose!). There is nothing lovelier than a homemade gift. Knowing that someone has put that most precious commodity – their time – into making something just for you is so much more meaningful than the most expensive of shop-bought presents. 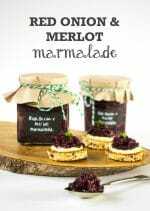 With that in mind, this recipe is the first in my ‘Christmas Hamper Series’ – five recipes coming up soon which will make perfect edible Christmas gifts, either on their own, or combined into a showstopper of a Christmas Hamper. In a very large saucepan or preserving pan, heat the oil, and add the onions. Cook gently for 5 minutes until softened. Whilst they are cooking, prepare the figs and apples. Add the figs, apples and sultanas to the pan, and then the ginger, salt and spices, and finally pour in the vinegar. Let the mixture simmer gently for 25 minutes, stirring occasionally to make sure it is not catching on the bottom. Finally, add the sugar, bring to the boil, then reduce the heat and simmer gently for 10-15 mins until thick. 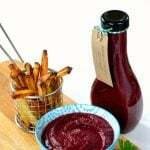 When it has cooled slightly, pour into warm, sterilised jars and keep in a cool dark place until Christmas! 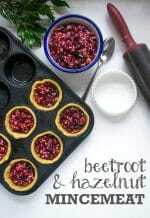 Follow Kate Ford | The Veg Space’s board Edible Gifts: Vegetarian & Vegan on Pinterest. First of all where can I get those jam jar toppers?! Did you make those figgy chutney ones yourself? I LOVE THEM!This looks fab. I will eagerly be following your Christmas hamper series. What a great idea. Hahaa – thanks Emma, yes I made it out of brown paper… traced round a saucer and drew on the words. I only have 6 more to make now…..!! Becca @ Amuse Your Bouche recently posted…Quinoa: Everything you need to know! 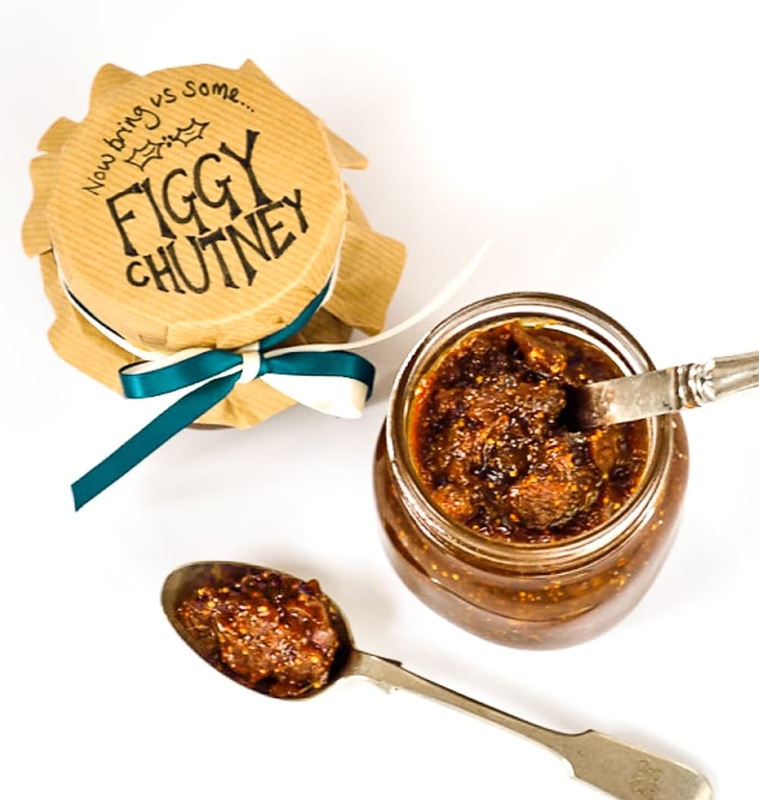 i love making chutneys for christmas, but never worked with figs – fab recipe! This sounds really delicious. I only discovered a love of figs this year, so I will be making this at Christmas. Wow, wow and wow. I love everything about this post. 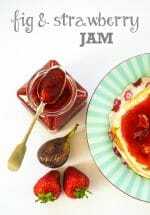 I adore figs, but have never made or tried a fig chutney. Your photos are fab and your label is amazing. It’s those finishing touches that makes such a difference. I’m a keen Christmas gift maker, but I rarely get them to look quite as good as I’d like. Bookmarked and off to Aldi now. I know it seems to early, but chutney does need that time to mature. I used to always go crazy making it at this time of year, but now I very often struggle to fit it in. I’ve never made one with figs. It looks fab! 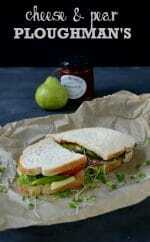 I love fig chutney and it is just perfect with blue cheese! Ooh hello! Definitely passing this onto those I know with fig trees! Love your photography too!